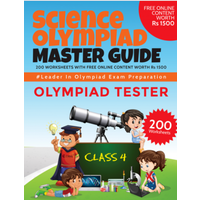 Many class 4 students across the globe have practised and prepared for National Science Olympiad (NSO), international Mathematics Olympiad (IMO), National Cyber Olympiad (NCO), International English Olympiad (IEO), with the help of online mock tests, chapter-wise practice tests, printable worksheets and sample question papers of Olympiadtester. 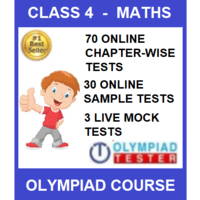 Online mock tests, chapter-wise practice tests, sample model question papers and downloadable worksheets to prepare for Class 4, Maths Olympiads likeIMO, iOM, IAIS Maths, ASSET Maths, NIMO, NSTSE. 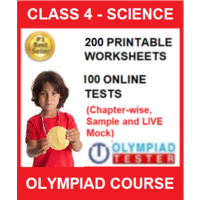 Online mock tests, chapter-wise practice tests, sample model question papers and downloadable worksheets to prepare for Class 4, Cyber Olympiads like NCO, iIO, IAIS Digital, UCO and ICO. 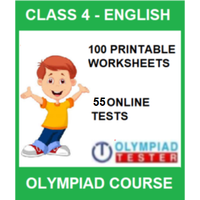 Online mock tests, chapter-wise practice tests, sample model question papers and downloadable worksheets to prepare for Class 4, English Olympiads likeIEO, iOEL, ICAS/IAIS English, ASSET English and UIEO. Online mock test, sample model question papers and worksheets for Class 4, G.K Olympiads like IGKO, SKGKO and IGO. ITHO, GTHO, GMARC, GSO, GSWC, iFLO,and more.